If the company takes several forms of payment then the following is the procedure to balance the payments against the invoices/POS processed. Count the cash and enter each denomination. 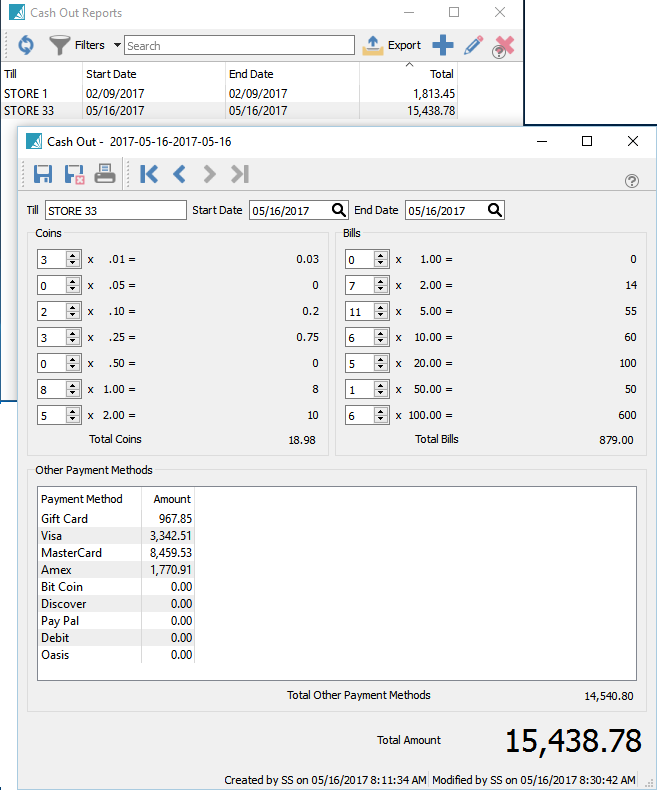 Then enter the totals reported by the payment processors terminal report. 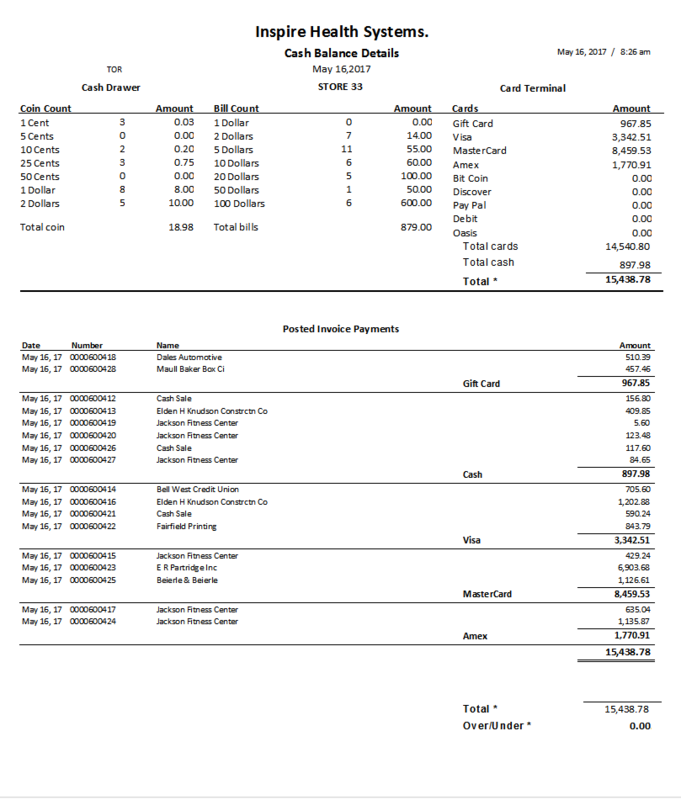 Click print and select “Cash Balance” report. 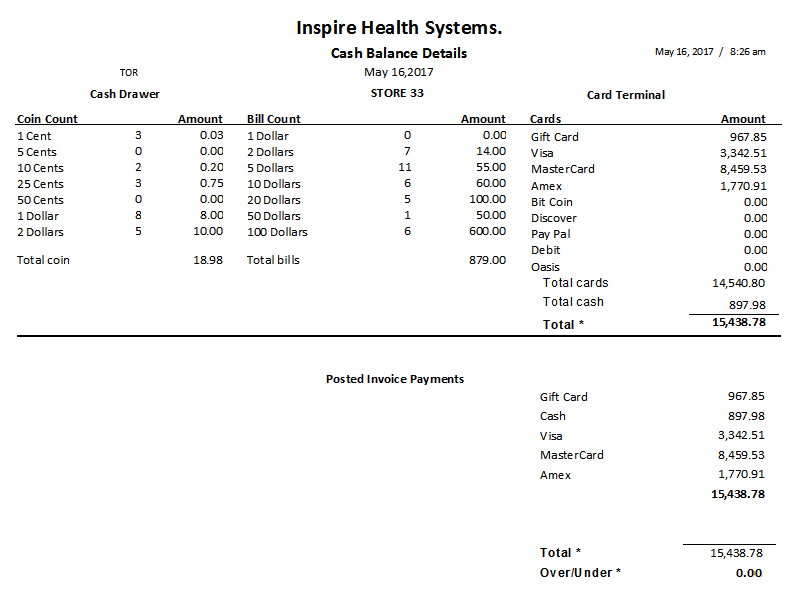 If it is not balanced print the “Cash Balance Details” report and proceed with checking off invoices until the error is found.